Q: Speaking of stepping stones, the Florida State game when you were a junior, any recollections of that game? RZ: We don’t talk about that, Paul. (laughs) You know what, it was one of those things where a lot of people really want to look at that game and make it a turning point. I don’t think it was. I truly think it was just the next step in the progression. Not even that: what you saw in the Florida State game was really the talent, the system and the coaching that we had in place that time, on display. 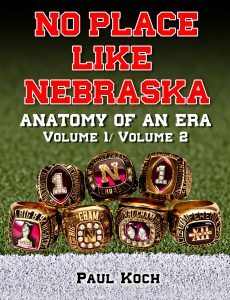 It was one of the few times you saw Nebraska demonstrate what they had done on a truly national level, because you had a #1 vs. #2 matchup for the National Championship, and it was a true 1 vs. 2 because it was a flip-flop in the polls. Whoever won that game was gonna be the national champ, hands down, and so it was the same team we had all year long. And I’ve got to be honest with you, most of the pieces for that team were in place the year before when we played Florida State and they beat us by a bit of a larger margin, and I think that was nothing more than player maturity. Instead of a true freshman at QB we had a sophomore at QB in ’93. Instead of sophomore running back in Calvin Jones we had a junior and a freshman running back in Calvin and Lawrence Philips. Everybody was a year older, more seasoned. Trev Alberts, Donta Jones, everybody was a year older in maturity. 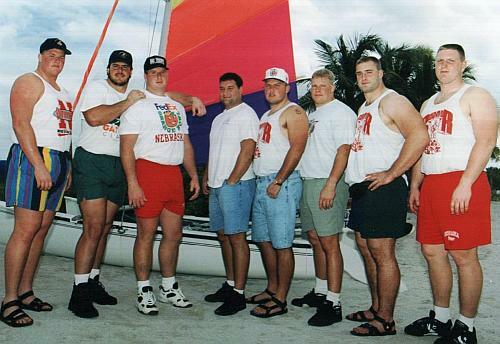 But that Florida State team in ’92 was essentially the same group of guys we played in ’93, maybe one defensive end was different. Those Florida State teams in ’92 and ’93, and those Nebraska teams in ’92, ’93, a few changes here and there, but it was essentially the same teams. It was like we were a solid team from August through December of ’93 and then January 1st we flipped a switch and went on a tear that took us into ’94. What you saw January 1st in ’94 was what we were doing all year long, you just never saw it on a real good, big national stage until that Orange Bowl of ’94. That was why I don’t think it’s a turning point, it was just the same thing we’d been all year, but on a national stage against an opponent people didn’t expect us to match up with, didn’t think we’d remotely be able to beat. And we coulda, woulda, shoulda beat ‘em. And with even more maturity the next year in ’94, you put us two scores down to one of the greatest defenses in college football history with Ray Lewis and Warren Sapp on one team and then beat them in their own house by wearing them out, having the maturity to hang in there and not cave, stay with the system and stick with the game plan, gonna listen to Osborne, and it worked. 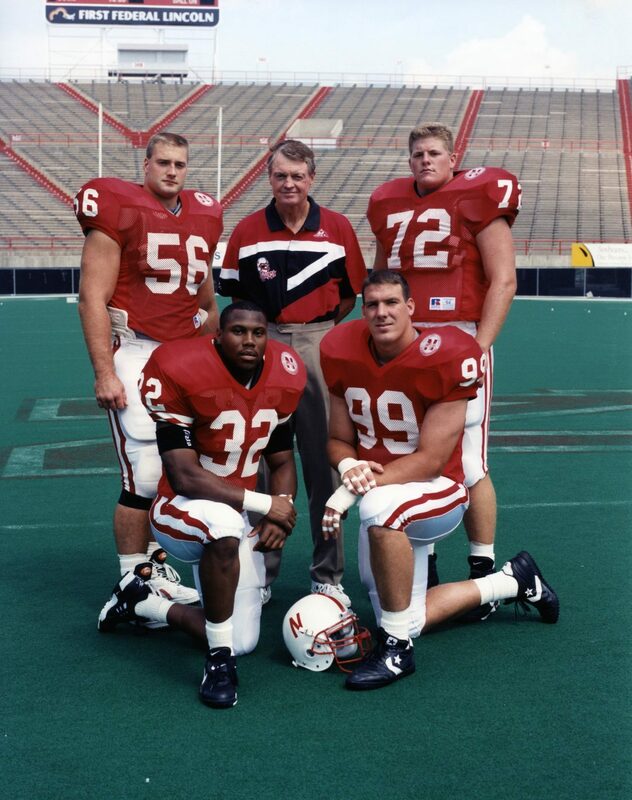 If you even go back to that ’92 team (two of the most lopsided victories against good opponents in Nebraska football history), I mean you can talk about that bowl game versus Florida after that ’95 season all you want, but that ’92 season when we beat Colorado at home Halloween night, October 31st and just shellacked them like 52-7? It was just a runaway victory over a Top 10 Colorado team, and it wasn’t even close. And usually when that happens it’s when one of the coaches puts together a really good game plan and the other one inadvertently thought the game plan was gonna work, and it didn’t. (You know, sometimes you’re the baseball and sometimes you’re the bat) (laughs) And then the very next week we had 7th ranked Kansas and they had Stubblefield, Gilbert Brown and Kwame Lassiter and all these studs on defense. They came into Lincoln the very next Saturday and we beat them 49-7. So that ’92 team had the ability to go out and take a top 10 team and absolutely dismantle it. What it lacked was just the wherewithal and the mental toughness and the maturity to go out and do that on a week-in and week-out basis. So even in ’92 the talent and this system and the ability to go do those great things. It was there, because we did it in ’92 and we took some absolutely phenomenal football teams, that’s when Oklahoma was still good, a top 25 team. In Norman we tagged 32 points on Oklahoma in Norman, Oklahoma that year. The most lopsided victory over Oklahoma when I was in college came during that 1992 season. They were still a very solid football team. Gary Gibbs was Switzer’s Defensive Coordinator. Gibbs’ defenses were always top notch, they were always very good. But that ’92 season we anihhilated Top 10 Colorado, Top 10 Kansas, Top 20 Oklahoma. It was just the mental toughness and maturity issue and the focus, we just didn’t have that collectively as a team yet. You saw that in between that Kansas game and that Oklahoma game we went to Ames, Iowa and we lose to arguably one of the worst teams in college football in Iowa State that year. God bless ‘em -my dad grew up 30 miles from Ames, Iowa over there in Marshalltown- but as a team we didn’t have that mental toughness and that maturity and focus to maintain that kind of productivity week to week to week throughout the full season. That was the difference between ’92 and ’93. All of a sudden in ’93 that team was there. And it took us from an 11-0 regular season to the bowl game versus Florida State, and Vegas had us as almost 3 touchdown underdogs. That’s insane for a #1 versus #2 matchup. That was insane. I understand in Vegas they were trying to generate betting, but still, over 19 point ’dogs? That’s ridiculous. But that’s my take, I still don’t look at the ’93 game as a turning point. It was just the same guys playing the same style. Honestly, Florida State was the only team nationally that matched up well enough with us that they could beat us. That game could have gone either way. Florida State, it was a Who’s Who of NFL and NBA drafts, here Charlie Ward carves out a 10 or so year NBA career for himself. That was a hugely, hugely talented collection of athletes on both sides of the ball. RZ: We did. And conversely, they had too much time. That was a great Florida State team. RZ: It was. And you watch ESPN Classic and they still have it as one of their Top 10 football games list. Q: Flashes of the game stand out to you? RZ: No. The thing I remember is that everybody you played against -because here you had Derrick Brooks, Derrick Alexander, one of their big defensive linemen- the amount of talent you had playing against every single play, but the fact that we were going out there just punishing them. I remember Derrick Alexander, who played a bunch of years for the Minnesota Vikings, a big stud D-lineman for the Vikings, but he was a senior that year in ’93 and I remember blocking the crap out of him and him getting pissed. Because we were flying off the ball and just knocking them backwards in that game. And I’d met him a couple times before, a really good guy, but I remember him just being pissed as hell the whole game because it was one of the few times all year that people had been able to effectively block their defense. There was just a swarm of future NFL guys on that defense. Then again, the next year with Warren Sapp and Ray Lewis and C.J. Richardson, and the two defensive ends Miami had in Kenard Lang and Kenny Holmes were NFL first-round draft picks, too. Q: And they had the Rock! Q: Anything more about the Miami game, Rob? RZ: Well, when I mentioned earlier how hard it was to maintain the focus, that mental toughness from week to week to week. It’s hard to do. And sometimes you think you’re doing it, but maybe you’re not, you haven’t done it as effectively as you think you did. From a mental preparation standpoint, I remember going into that Florida State game a year earlier and we could not have been better prepared mentally. The amount of focus and mental fortitude we had going into that Florida State game, I’m actually surprised we didn’t win. And the Miami game, in hindsight, that was one of the few games where, by the end of the game, I don’t want to say we didn’t show up ready to play, but I still feel that somewhere we missed something in a little bit of the game planning, which happens. And you hope talent makes up for it, but it was one of the few games where after going into it, ‘Oh, I guess were not as ready to play as I thought we were,’ because I thought we definitely had the ability to hang with those guys from the opening gun. It wasn’t like we got into that Miami game and, ‘Oh my gosh, it’s Warren Sapp. He’s so tough. I hope he tires out!’ (laughs) That was not the case. From moment one it was like, ‘I can totally block these guys. Stai and I can take Waren Sapp.’ (Because you know they flip-flopped Joel Wilks and Stai, and during the game I remember thinking, ‘Dude, Wilks can block this guy.’ He was perfectly capable of blocking Sapp) For some reason it was one of the few games that year where we may not have been as focused as we should have been, but it wasn’t for a lack of trying. Like I said, occasionally it slips, whether you want it to or not. Everybody has an off-night, and that was one of the few games that season where we collectively kind of had an off-night. Now, at the same time we also had the wherewithal from the coaching standpoint to make adjustments to the guys pulling things together, and in my mind it takes a fair amount of maturity and focus to -mid-stride, say it was late third quarter– “we should probably start playing some real football.” And we did. Thank goodness, from a football standpoint, that we had that ability to pull it together and do that to win the game. The coaches, I thought, made some very good calls and made some good adjustments. And in terms of who you’re picking for opponents, we were rooting hard for Miami to make it to the Orange Bowl. Penn State still claims we stole their national championship that year because we bumped them from #1 in the polls. Nebraska was #1, but we got bumped from the #1 spot when both of our top QB’s went down. RZ: Yeah, that’s the point. They figured we lost our top two guys, “They won’t be winning the national title now.” We didn’t even lose a game and we got bumped out of the #1 spot, so don’t give me that stuff about how we stole it from Penn State. We just moved back in after we’d been there originally. RZ: You’ve no idea how often I run into them. (laughs) But then we end up beating Colorado late in the season, and there was a Who’s Who of NFL lineups: quarterback Kordell Stewart, Rashaan Salaam the Heisman Trophy winner, on their line you had Stoltenberg and a few guys, you had Ted Johnson who had a few Super Bowl rings with the Patriots, Christian Fauria at tight end for like 12 years or so. But we dominated them and they were ranked like #2 at the time, and we leap-frogged Penn State again into the # 1 spot a week after that, late in the season. (Osborne nine times out of ten could always out-game plan McCartney. And McCartney was a darn good coach, he was very good, but nobody was as good as Osborne) But we got that number one spot after shellacking Colorado and we still had Penn State breathing down our necks. Because, if you remember, this was the era of the polls still, not BCS, so it was just polls. So to have a shot at the national championship you had to be #1 and win your bowl game, or hope to God that if you’re number two that you win your bowl game and the #1 team loses. RZ: Exactly. And so, boy, by the end of the year we had the best chance to win the National Championship and make sure Penn State doesn’t win the National Championship. Who would be the toughest matchup in any bowl game? Which, I’ve got to be honest with you, do you know the thing that still surprises me to this day about that game? They were gassed! Everybody talks about Warren Sapp sucking wind and the rest of the defense sucking wind. Paul, those guys were tired. I remember the end of that game I was tired. I played a football game in 85 degree heat and massive humidity, but I’m not that bad. But after that Miami game those Miami players were just dead. They had nothing left in the tank. Those last two offensive drives we had, they had nothing left in the tank at all. Q: Like pushing around big old Jello molds, huh? RZ: It was. And you’d hit your blocks and they had nothing left to go after them. Our QB’s and running backs would just run right through them, and they didn’t have the energy to pursue. Q: And it seems to me, watching one of those replays, Abdul Muhammad knocked that guy out..
RZ: Yeah, “Let’s take that 120 lb. wingback and block him.” (laughs) They just literally cashed it in. They seemed to know they were gonna lose that game and couldn’t help it.